To help your organization comply with data privacy laws, you can disable tracking for users in your organization. You can specify tracking by role. Go to the Roles section of your Account & Billing page. Select a role on the left. 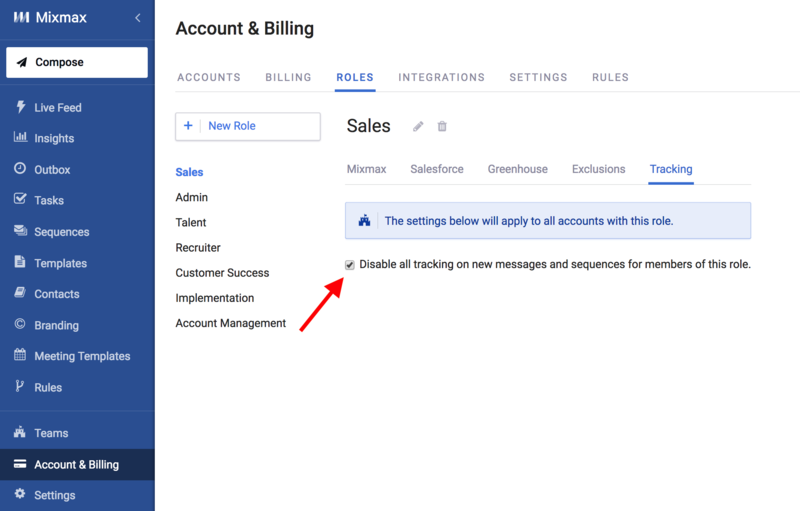 Click Tracking, and check the box next to Disable all tracking on new messages and sequences for members of this role. You can also disable tracking for recipients in the European Union.